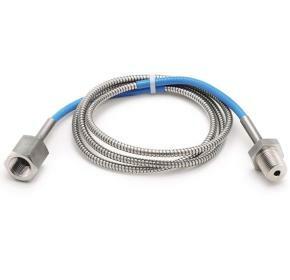 The Ashcroft® 1115A and 1115P capillary lines are utilized when instruments need to be removed from direct contact with the installation point due to elevated process temperature, pressure spikes or design specifications. Added between the measuring instrument and diaphragm seal, it protects from damage and/or accuracy degradation with slow heat transfer rate and dead-ended process fluid providing further protection. A good product solution for challenging applications.